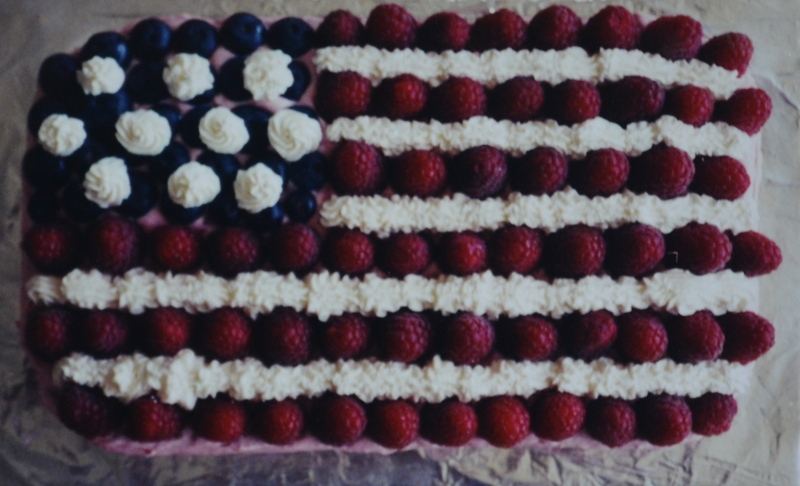 Today a different kind of art post – I baked a flag cake. This entry was posted in mixed-media and tagged 4th of July, art, create, holidays, Independence Day, inspirational, inspire on July 4, 2012 by lilo. I attended a class at Miller School of Art in Georgetown today (which is just south of Seattle). 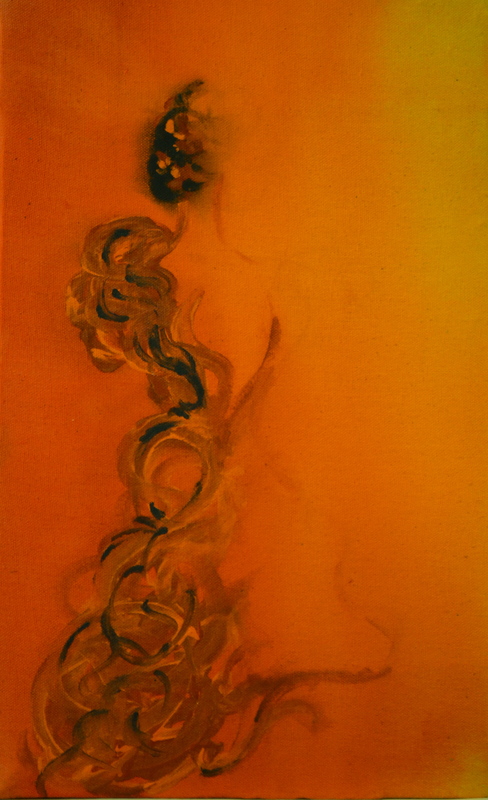 Title of the class was Experimental Painting. Marc (the owner) provides all the material and you have four hours of time to just paint, no restrictions, no limits really – he gave some guidelines what media to use in what order, basically teaching certain techniques – but otherwise you could just let loose – which I enjoyed sooo much. Just letting loose compared to the very concentrated efforts of the drawing instructions in the other classes was a nice change. Here are the two paintings I produced. The above painting was just pure fun. First you apply any shape you like with charcoal (it leaves the dark shadow-like shapes), then you draw in oil pastel (which pops out in the end), go over it with a layer of watercolor (that’s what you would see as back ground color in this case), paint with acrylic paint on top of it, blow dry the whole thing until the acrylic is half-way “firm” – and finally wash/scrub the whole painting down under running water. The acrylic remnants show up as fine lines here. The abuse the painting took was amazing and the outcome just pure fun. This is the second painting I’ve created. It’s done on drop cloth stapled to a 1/4 inch board (cheap material ! ). First you apply layers of watercolor, then charcoal (hardly visible in this painting) and finally acrylic paint. I really liked the technique (very promising, I will use it in the future for sure) and if I may say so, I am fascinated with the outcome. Also, did I mention it ? Fun, Fun, Fun ! This entry was posted in mixed-media, paintings and tagged art, art instruction, create, fine art, fine art classes, inspirational, inspire, painting, Seattle, workshop on July 1, 2012 by lilo.